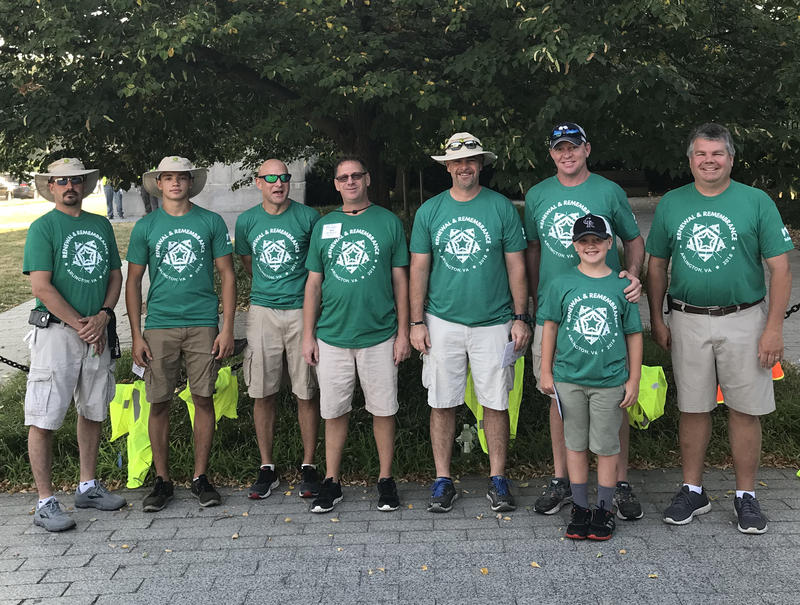 On July 16, Nufarm employees and family members volunteered their time to care for the Arlington National Cemetery lawn. This effort was part of the Renewal & Remembrance service project run by the National Association of Landscape Professionals (NALP). The three-day event honors American veterans by helping organizations lend professional skills to care for and beautify one of our nation’s most honored places, the Arlington National Cemetery (ALC). “We’re grateful for the opportunity to give back and work hand-in-hand with Nufarm customers,” said Jamie Heydinger, Nufarm National LCO & Key Accounts manager. Volunteers work alongside hundreds of NALP members in partnership with the horticulture team at ANC to improve the lawns, shore up historic trees, landscape, and complete irrigation and hardscape projects on the grounds. The Renewal & Remembrance event combines community service with advocacy as members head to Capitol Hill to support issues that affect green industry businesses. This marked the 21st year that industry professionals have volunteered to care for this national burial ground that serves as the final resting place for more than 400,000 military service men and women and their spouses. Hats off to the Nufarm Family volunteers who helped beautify the ANC and honor America’s fallen.